Defying Gender Roles has a strong presence on social media. Our Facebook group has over 2,300 followers from 45 countries around the world. Our international & interactive audience spans 45 countries and 6 continents. With large numbers of followers in Latin America and North America, our posts in both Spanish and English connect audiences across physical as well as cultural barriers on the topic of toxic masculinity. We create and share content across various mediums to engage our audience in active conversation surrounding gender equality and the topic of reconstructing masculinity. For International Women’s Day in Colombia, women received flowers, chocolates and invitations for lunch. But the reality is that more than 15,000 women are killed each year in this country. Violence against women and girls is a pervasive issue. 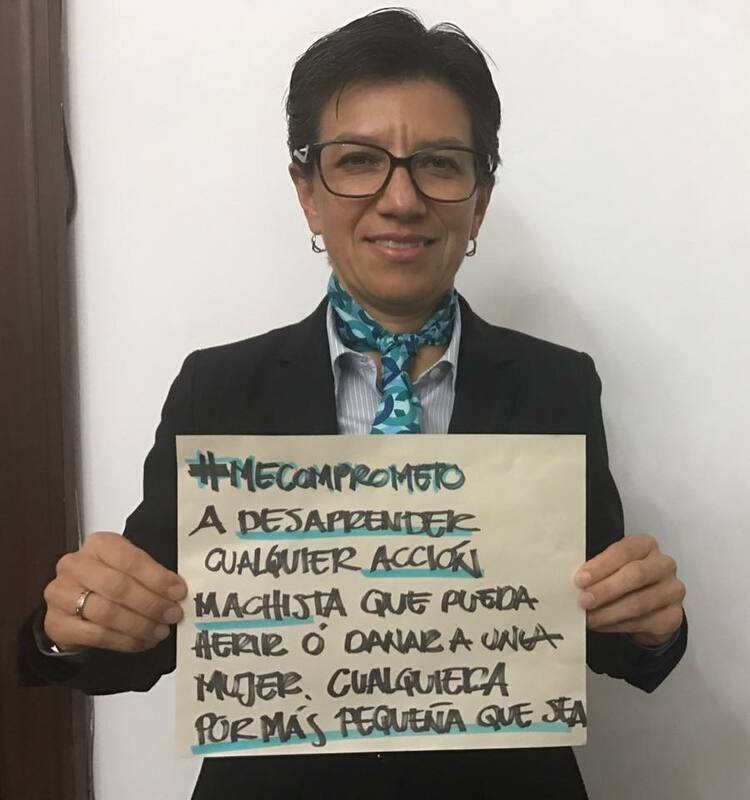 For this reason, on March 8, 2017, a group of feminist organizations, women led business and NGOs working on gender issues (Siete y Ocho, Lo Que Importa; Aequales and No Es Normal) joined forces to launch #MeComprometo (#ICommitTo). 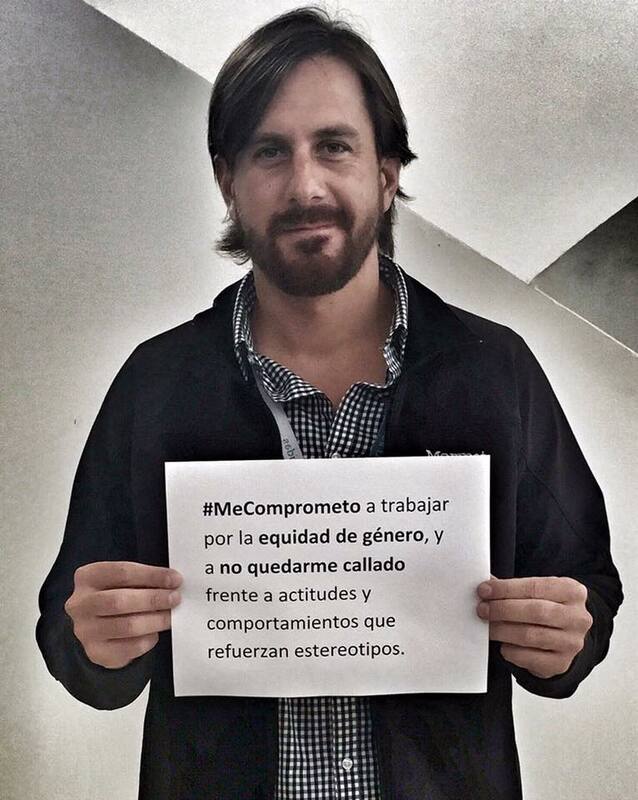 We created an aggressive social media campaign asking men and boys to make a public commitment against sexism, gender-based violence, machismo culture and violence against women and girls. No flower, no chocolates, real actions. The hashtag went viral. Professional soccer teams, UN Women, and Presidential candidates shared their commitments on line. Multiple TV interviews were held. Only a few DGR tweets earned 59.5K impressions. #ManUp is a common expression used to reinforce specific behaviors associated with what is expected from men: to act bravely, to take responsibility, to be tough, to be stoic and show no emotions. This is a harmful mantra that reinforces the idea of what a man is and should be. So, what if we transform these two words into an invitation to talk about what it means to be a man today? With this idea in mind, Defying Gender Roles and Ciclos Foundry joined forces to start a conversation about men, boys, masculinity and the challenges that we face when we hold outdated visions and expectations about the meaning of being a man. The result: a design that exemplifies what #ManUp should be about: respect, love, emotions and living the life you want, with no labels or harmful expectations. This t-shirt is a rebellious act against the oppressive force that impede the rights men and boys have to be whoever they want to be. In 2 editions, we sold around 60 t-shirts in the US, Colombia, the UK, Mexico and Australia. But most importantly, we facilitated a needed conversation about the power that gender norms have to shape the way in which each of us experience life. Buying, giving or wearing a #ManUp t-shirt is a transformative action that seeks to create the space to talk about a different approach to being and becoming a man. An approach that includes emotions, self-care, risks, and adventures. We believe in the power of these ideas to transform the world, one person, and one conversation, at a time.